The ninth annual New York Times Travel Show will be held March 2 to 4 at the Jacob K. Javits Convention Center in New York City. 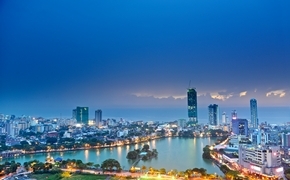 The 2012 Travel Show will begin with a trade day for industry professionals on March 2, offering targeted conferences. The exhibit hall will also be open for exclusive viewing by travel trade professionals, followed by an industry reception on the exhibit floor. The Travel Show will feature nearly 500 exhibitors representing over 150 countries focusing on travel destinations, packages and special offers, as well as tour operators, cruise lines and live entertainment for the whole family. American Express has once again signed on to be the presenting sponsor of The New York Times Travel Show. The New York Times Travel Show offers vacation discounts and travel packages from nearly 500 sponsors and exhibitors. Visitors can take advantage of these on-site-only offers on the Travel Show floor. Sponsors of the 2012 Travel Show include Celebrity Cruises, Puerto Rico Tourism Company and Visit Florida. South African Tourism and Turkish Tourism are the contributing sponsors. Agent@Home, Travel Agent Academy, TravelPulse and Vacation Agent are the industry sponsors. Doug Duda, A&E International Network's "The Well-Seasoned Traveler," will present tips and tastings for the culinary traveler. Chefs, writers, sommeliers, wine makers and culinary tour guides will take the audience on a delicious journey with demonstrations and samples of this year's most exciting food and wine adventures. Visitors can win a Caribbean hotel stay at the CHTA Education Foundation Attendees will be able to bid on stays at participating hotels. All proceeds benefit Caribbean hospitality students in need of financial assistance.